In order to start using the Web Clockin for mTimeCard every worker must create his own account. To do that go to http://clock.mtimecard.com/. 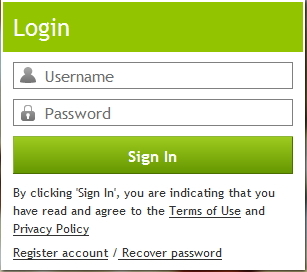 On the home page you will see a Login form in green. To open the page where you can register new account for worker, click the link Register account. PIN code – enter the Pin code that you know from your manager. The PIN code is unique and one worker can use it. Once the PIN code is entered, it cannot be user be use twice. Email – enter a valid email address. On this email, later you may receive messages from mTimeCard. 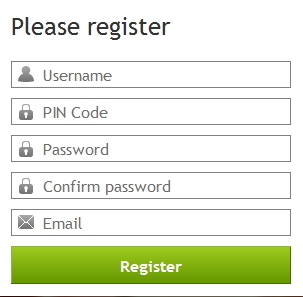 After entering the information for the account click the Register button to save the information. After that you will be logged in your account at mTimeCard Web clockin.